We’ve just installed some new commercial signage for The Boathouse Marina. The Boathouse is a new business situated not far from us on Mews Road, in Fishing Boat Harbour, Fremantle, Western Australia. This is Perth’s first fully undercover and enclosed dry boat storage facility. It’s state-of-the-art and very secure. The Boathouse offers rack storage and protection for your boat from all the elements – the sun, wind, salt and rain – when not in use. They can store boats that are up to 34 feet long. When you are ready to hit the water, you phone from home. Within the hour the boat is ready and waiting for you to launch. When you get back the boat is cleaned and restored. This place with its boat storage capacity is seriously huge! It was a privilege to put up some really big signs for these guys. 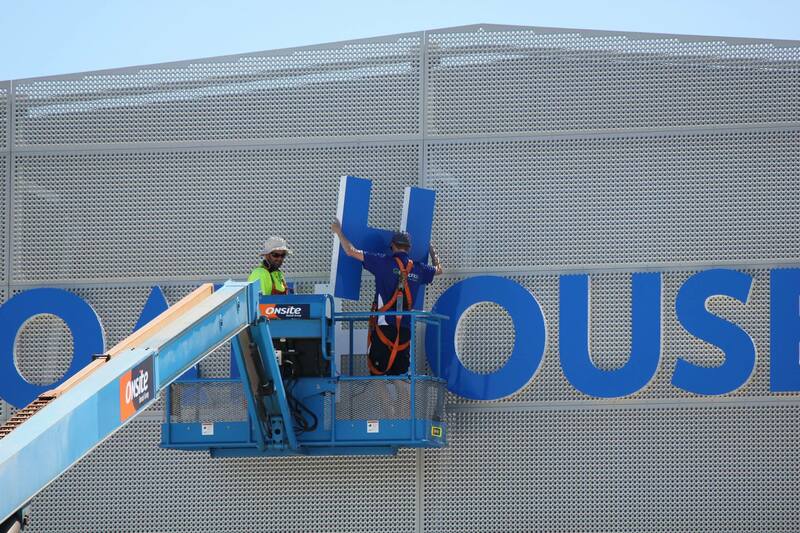 We also installed a large pylon sign at the front of the building. And impressive sign with plenty of space for the addition of future tenants. There is a large sign on the west elevation, where the views for our installers, Wayne, Jason and Andrew, were just magnificent! 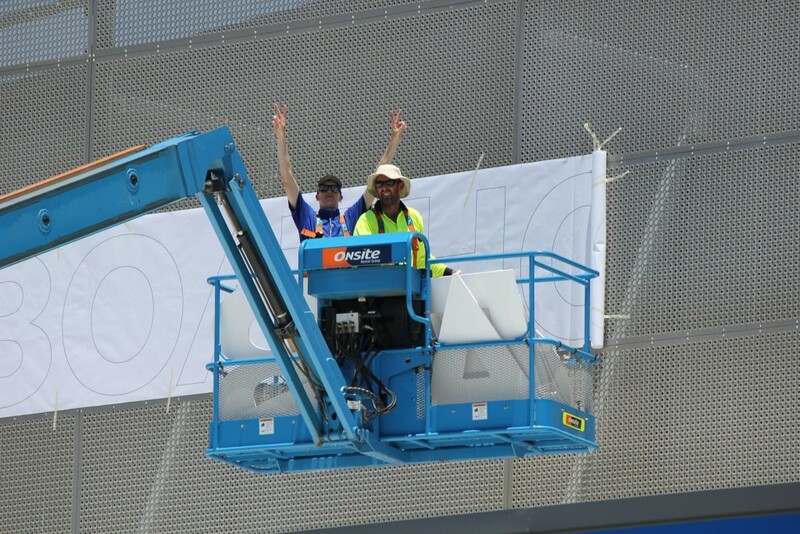 They needed a crane to access and captured some amazing bird eye view photos shared below. And last but not least was the main fascia sign. Again they need a crane to gain access to the fascia. 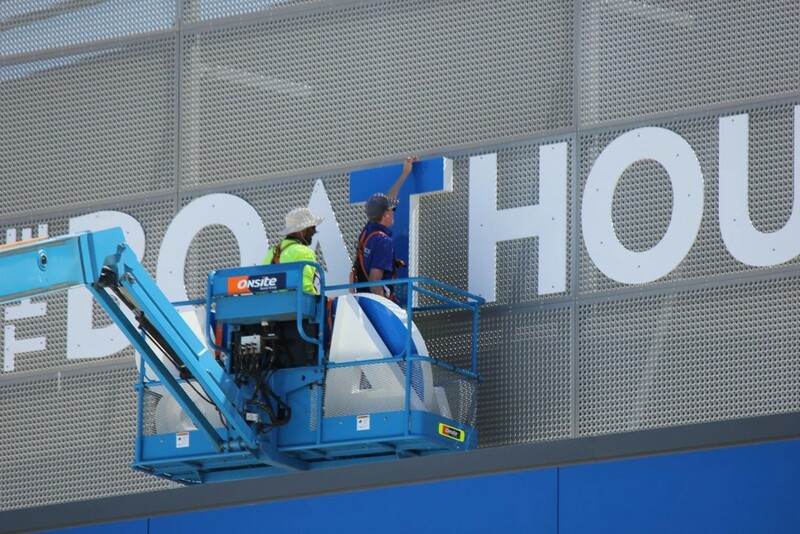 On the fascia each letter is one metre tall. The whole main fascia sign is huge; at 2m high by a whopping 12m wide. Definitely well visible by passing road traffic! We are all really chuffed to work on such a standout commercial signage job in our local area. 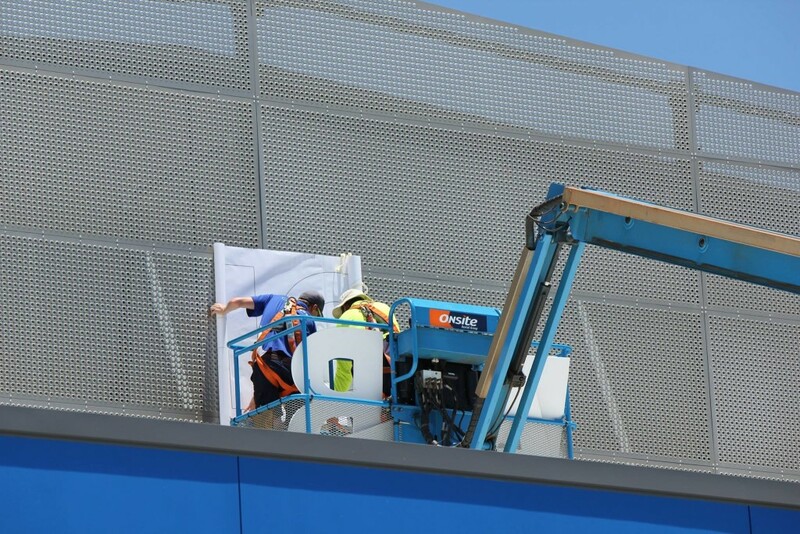 Check out the project photos below that we snapped. You can see the main fascia sign being installed from start to finish, plus a few others like the amazing bird eye view photos. 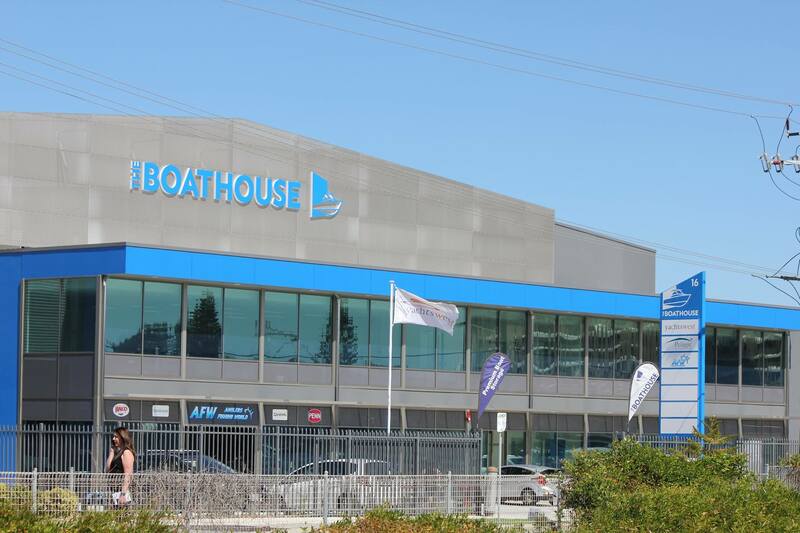 Call up Russel at The Boathouse Marina for more information on boat storage in the heart of Fremantle.